Grunge is always going to be a well-loved yet saturated genre, although it’s arguably no longer in its heyday. But there are bands such as Leeds’ Dinosaur Pile-Up flying its flag today. The three-piece are seemingly a support slot staple, having supported Lower Than Atlantis, Brand New and Pixies to name a few. Sadly, however, they still remain a virtually unknown band outside of their core fanbase, perhaps unfairly so. But they’re perfectly fine just the way they are, as new album Eleven Eleven shows. Eleven Eleven is the dictionary definition of a grunge album, with gritty guitars, trippy effects and vocalist Matt Bigland’s soft yet edgy voice at its core. It’s a fine execution of a successful formula with a little extra something, be it Might As Well’s Weezer-meets-Nirvana riff or the excellent Grim Valentine’s cheerfully-sung pessimistic lyrics (“I just wanna die every time you come by” is just one giggle-worthy instance of this). But the undeniable star of the show is Bigland’s huge riffs. Every single song has a guitar line at the forefront which will undoubtedly get smiles going and heads nodding. And these riffs are often the saving grace when the repetitiveness of the grunge formula so heavily relied upon begins to grate. Because that repetitiveness is Eleven Eleven’s main downfall. While the eleven (see what they did there?) tracks are technically sound, and any one of them would be applauded if listened to on its own, together it ultimately feels like the foundations of the same songs over and over again with the exceptions of a few twists here and there. It’s quite disappointing, too, especially in the case of the minute-and-a-half long Gimme Something, the length perhaps implying something a little different. But it’s just the same thing that’s been heard on the past seven tracks, just a bit shorter. Closer Willow Tree stays exactly the same, too, and is probably the most monotonous track on the whole album. It’s disheartening, especially for a closer of an album. This determination to keep the same vibe flowing is more frustrating than anything else, though. There are some genuinely fresh ideas present on Eleven Eleven, such as the super-fast Bad Penny’s homage to punk, Anxiety Trip’s descent into shoutier, less melodic vocals, or the aforementioned standout Grim Valentine’s warped and innovative guitar solo. But these are all lost beneath Dinosaur Pile-Up’s obvious worry about changing up their sound too much. To give credit where it’s due, Dinosaur Pile-Up are extremely good at what they do, which is writing grungy, melodic tracks. But if you’re looking for a band to advance the genre into new territory, look elsewhere. Eleven Eleven shows why Dinosaur Pile-Up are one of the best in the modern grunge era. But its rigidity also shows why their star hasn’t risen as much as it probably could have. 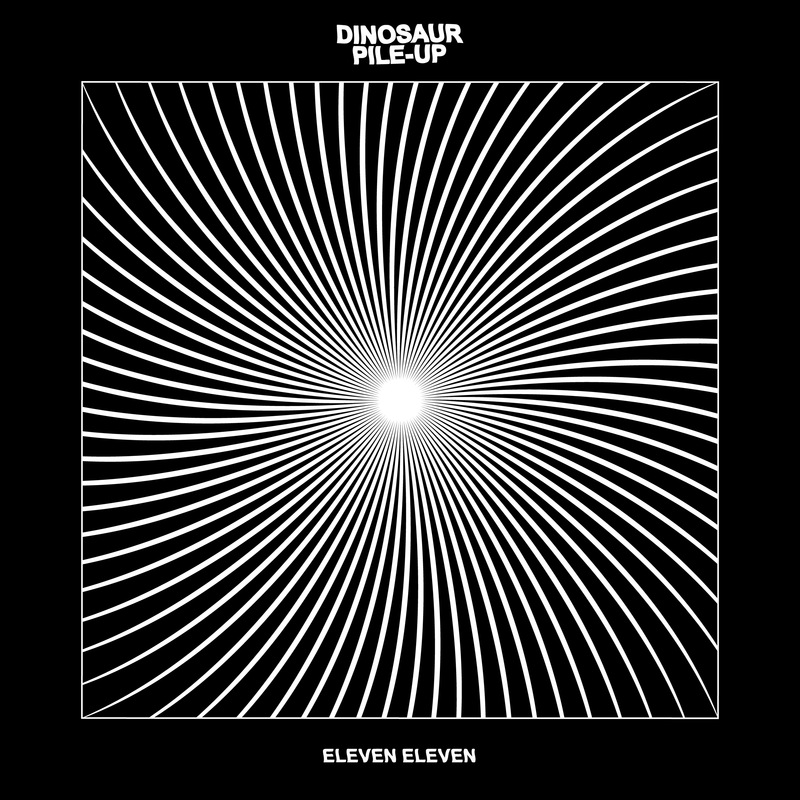 ‘Eleven Eleven’ by Dinosaur Pile-Up is out now on SO Recordings.